The trend for designer children's furniture continues with this collection of customisable units by Dutch brand Teehee. The Illa and Illeta pieces are designed to encourage family members to interact, and add playfulness to everyday tasks. 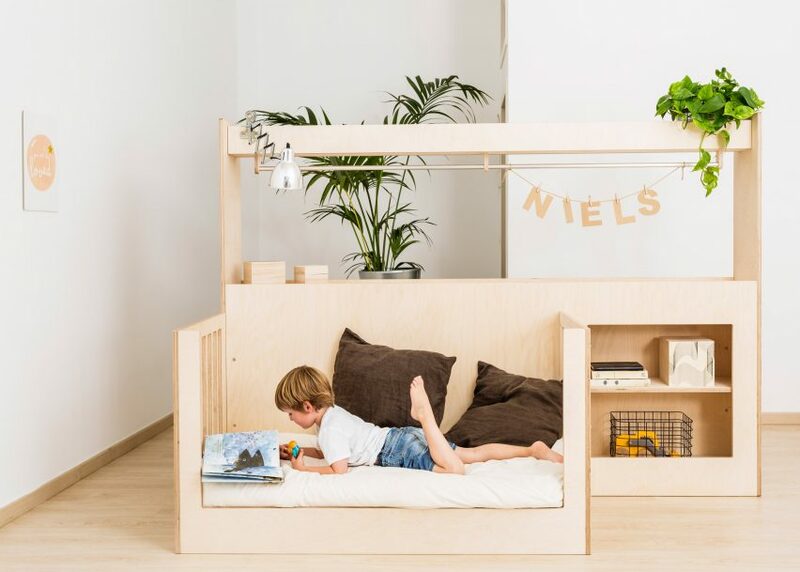 The Illa crib can be lowered and converted into a bed for toddlers as well as seating, and includes a table attachment that can be used for changing, or as a desk. 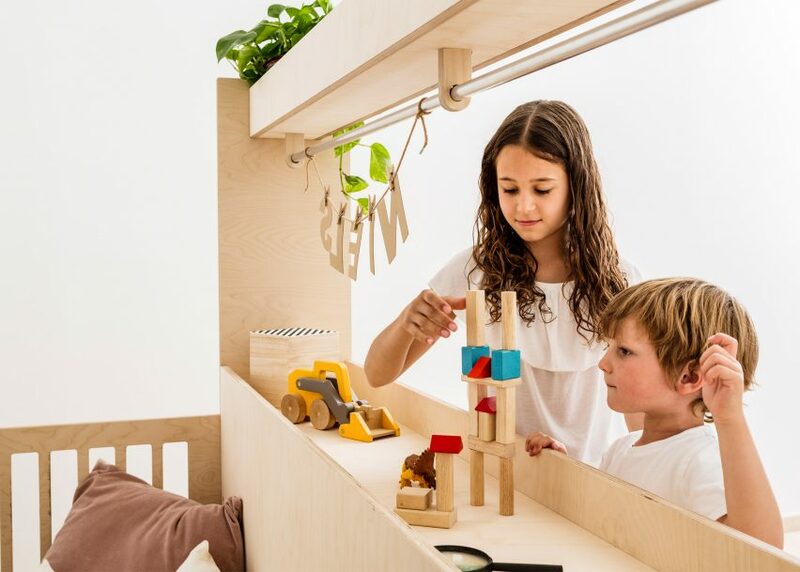 The furniture includes shelves with room for storing books or toys, and a hanging rail, all of which can be adapted as the small user grows older. The Illeta crib is similar in design, but includes a larger cabinet with more room to store clothes. It can also be updated for new purposes as children grow up. "Babies and toddlers are not fans of change, their rooms become a shelter where they will spend many hours and they should feel comfortable in it," Teehee founder Dolors Teixidor told Dezeen. "I like to think that I design 'little homes' that will grow with them." Other pieces in the Teehee collection includes standalone cribs and beds, and a set of cushions and bed coverings made from patterned fabrics. Several designers have turned their attention to products for children, which have been described as a "huge market" for design brands. Swiss studio Big-Game took a similar approach to Teehee, by designing an adjustable chair that can be made taller as children grow, while furniture retailer Rafa Kids designed a playful desk that resembles a letter K when seen from the side. Big-name brands including Kartell and Gebrüder Thonet Vienna have also recently released child-friendly designs. "Children find many uses and possibilities that the designer didn't even think about," added Teixidor, a former interior and furniture designer. "We only need to be creative to give them some ideas to interact with the furniture, and they will do the rest." "It's not about colours, fancy shapes or many features. For me it's about giving them the space to imagine, explore, play, and to be a child."